**Harmons Grocery – 11400 S. 700 E.
**Harmons Grocery – 13800 S. 100 E.
Fast Trac – 2700 S. 8500 W.
**Harmons Grocery – 7700 S. 700 E.
7 Eleven – 7820 S. 700 E.
Tesoro – 6800 S. State St.
7 Eleven – 4800 S. 700 E.
Chevron – 4500 S. State St.
Lee Mart – 5900 South 700 W.
**Anda Auto – 180 33rd St.
**Harmons Grocery – 2nd & Harrisville Rd. **Herbs for Health – 2688 Washington St. Kicks 66 – 29th Washington Blvd. **Harmons Grocery – 870 E. 800 N.
Excel II – 4805 S. 1900 W.
**Harmons Grocery – 5300 S. 1900 W.
**Sinclair Gas Station ~1900 W. 4000 S.
**Herbs for Health – 399 E. State St. The Greenhouse Center – 194 Main St.
**Harmons Grocery – 3300 S. 1300 E.
**International Market & Deli – 2284 E. 3300 S.
**Rocky Mountain Nutrition – 700 E. 2100 S.
**Blue Boutique – 1383 E. 2100 S.
**Magazine & Video Corner – 777 South State sT.
**Mischievous Cards and Gifts – 559 S. 300 W.
**Cahoots – 878 E. 900 S.
**Sinclair Gas Station – 3300 S. 700 E.
**All For Love – 3072 S. Main St.
Cyclesmith – 250 S. 1300 E.
Fast Trac – 800 S. 900 W.
Jade Market – 200 S. 353 W.
Square 1 Fitness – 729 E. 2100 S.
Smoke Break – 300 S. 418 E.
Wayne’s Market – 1300 S. State St.
**Harmons Grocery – 1189 E. 700 S.
**Harmons Grocery – 6200 S. 4800 W.
**Harmons Grocery – 5400 S. Redwood Rd. **Beatrice’s Herbs for Health – 3588 S. Redwood Rd. **Blue Boutique – 2778 W. 3300 S.
**Shirlyns Natural Foods – 5578 S Redwood Rd. **Harmons Grocery – 3500 S. 4000 W.
**Sunrise Solutions – 4130 S. Redwood Rd. 7 Eleven – 4100 South Redwood Rd. Keyhole – 3492 S. Redwood Rd. Smoke Station – 2280 South Redwood Rd. Sinclair – 2500 South Redwood Rd. 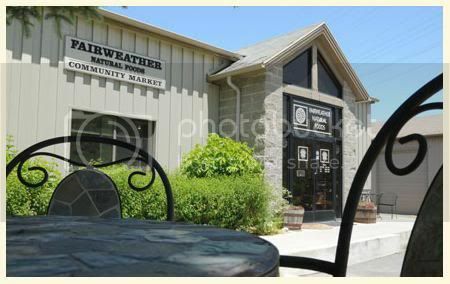 Apple Store – 1500 S. 800 W.
The Hammer Bar & Grill – 3990 W. Russell Rd. Get Some WOW, in YOUR LIFE! Copyright © 2008 - 2009. Ultra Fuels, Inc. All Rights Reserved.